That’s pretty common, once in a lifetime every one of us might have been a victim of such stressful lockout situation when we were mistakenly locked out of our home or car or just missed to pick up the keys in a hurry while we want to open the locks. To add to our nightmare, we simply try doing things to resolve the problem by our own and just at the end of our frustration, we discover that we have even made it worse. As genuine advice – never ever try to open your home or car door locks when you don’t have the key. This first thing to do is quite natural and usually comes without even thinking. Check for other locks and potential open windows that can render you access. Sometimes when one locking mechanism is secure, it doesn’t mean they all are. Getting locked out of your home or automobile often provokes sudden panic. This does not help the situation at all. Try to keep a clear mind while remaining aware of the situation and your surroundings. This is very important if you are with others that are depending on you such as children or a spouse. Your panicking will make them panic causing the situation to escalate with further frustration. If it is your car that you are locked out of, be mindful of your location. 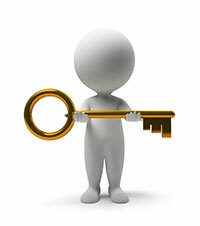 You will need to provide the specific information to our locksmith. With that said, it is good to always have a mobile phone handy in order to place the call. While you are waiting, make sure that you and anyone else that may be with you are in a safe and lighted place. If it dark or adverse weather conditions, seek shelter as soon as possible.